PAID Summer Policy Internship! APPLY TODAY! 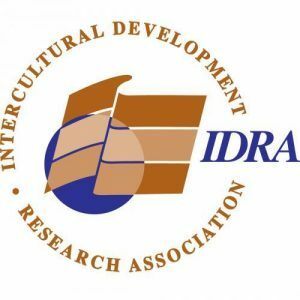 The Intercultural Development Research Association – a dynamic 501c3 non-profit organization dedicated to assuring equal educational opportunity for every child – is seeking a Policy Intern. The Policy Intern will assist IDRA with developing and providing strong, equity-based policy development and analysis in Texas and at the federal level. IDRA will provide training and close guidance to the Intern to ensure the Intern learns how to develop effective policies that cross borders with research and effective classroom practices. The Intern is also expected to participate in collaborative calls with other organizations and policy leaders. The primary work includes supporting IDRA’s national and state education policy priorities, including school finance equity, strengthening public schools, fair accountability systems, quality English learner programs, school integration, and college readiness and access. This work may entail drafting and revising policy briefs, reviewing and analyzing proposed state and federal education regulations, and developing infographics and fact sheets based on the most current research and data available. Much of the work will be in preparation for the Texas legislative session starting in January 2019, where we provide critical information and analysis for organizations and legislators. • High School Diploma and advanced college coursework in related areas required. • Good research and writing skills. • Ability to work independently and collaboratively on multiple projects and complete projects on a timely basis required. • Personal dedication to equal and equitable educational opportunity for all children absolutely required. This position would be a non-employee, temporary position located in San Antonio (not a telecommuting position) with a commitment between 20-25 hours per week. Send letter of interest and résumé to David Hinojosa, National Director of Policy, Intercultural Development Research Association, 5815 Callaghan Road, Suite 101, San Antonio, Texas 78228; Fax 210-444-1714; e-mail: david.hinojosa@idra.org. Applications will be accepted until the position is filled. IDRA is an equal opportunity employer.